My third baby is here, she is 11 weeks old, and I love her to pieces. But.. we are just coming out the other side of a long stretch of cluster feeding and evening fussiness. I know this is typical, I know this is common. I mean she is my third baby! I went through it with both of my other children but that did not stop me from doubting myself occasionally. For the most part I was relaxed about it but there was a stretch around 6-7 weeks when I was starting to worry. Could my baby have reflux? Is it possible she’s not getting enough milk at the end of the day? I knew these common concerns were unlikely but the doubt creeps in when you have a crying, unhappy baby even if it is temporary. If you’re unfamiliar with cluster feeding it is bunches of feeds close together. It’s when your baby wants to nurse off and on several times in a row or for hours. It can happen anytime of day and it definitely can happen when your baby is having a growth spurt. 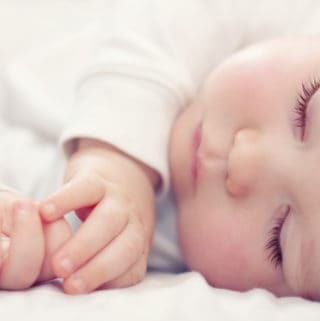 It also seems to typically occur in the evening for babies from about 2-4 weeks until about 3-4 months of age. Some people call the evening hours the ‘witching hour’ since many babies fuss, cry, and seem unhappy with no obvious reason. With each of my babies I have ended up cluster feeding in the evening for a few hours while my babies also fussed off and on until eventually falling asleep for the night. My third baby is amazing and sweet as can be. I pretty much wear her or carry her most of the day since she is the most content with me. This keeps her happy and calm and everyone remarks about how quiet and ‘good’ she is. I attribute this to getting to be with me so much though. And until recently we always had a fussy time in the evening. It would start around 6 and go for about two to three hours before she eventually fell asleep for the night. Our routine went like this.. nurse, fuss, stop nursing and look around, spit up all over me, cry, nurse some more and repeat. This would last the entire two to three hours. She wanted to nurse but would then cry and spit up. She did not seem happy and I started to doubt myself. Could she have reflux? Could she be upset she’s not getting enough milk? Could I have an oversupply that is making her spit up or she’s angry because it’s too much milk, too fast? Even after two babies my experience had faded from my mind and I worried. I joked with my husband about how I have written articles about this. About googling it and finding my own advice. I seriously needed to sit down and read my own advice and remember this is common, this is typical, and most likely everything was fine. Deep down I did not think it was reflux and this was confirmed at our two month pediatric appointment. And, now at 11 weeks it seems to be almost over. The fussiness in the evening started to decrease, the length of time she is cluster feeding is lessening, she is going to sleep earlier, and the days when she is fussy are fewer and fewer. It starts off gradually but then as quickly as it came it’s gone. So as a reminder to moms everywhere going through it.. it is temporary! 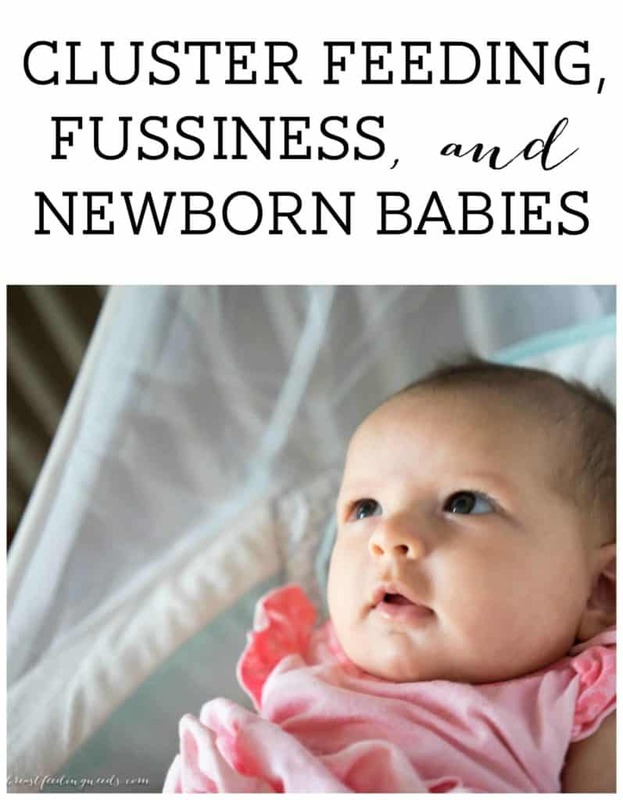 Here are some of my previous articles on this subject if you are in the midst of cluster feeding and fussiness yourself.